You are seeing the very short-term immediate future of how transactions will take place - cashless. Take a look at the green stuff in your wallet (if you have any) and prepare to say goodbye to it in the future: By 2020, most Americans will be using their cellphones, not cash or credit cards, to make payments. That’s what 65 percent of the 1,021 tech experts surveyed by Pew Research Center’s Internet & American Life Project and the Imagining the Internet Center at Elon University said is likely to be the case, with consumers not only adopting, but embracing, the use of “smart-device swiping” for purchases. Already, many of us are using our smartphones to pay for a variety of goods and services, including renting movies via iTunes or Netflix, or buying e-books from Amazon. More than one third of smartphone owners have used their phones to check their bank balance or to pay a bill, according to Pew. A Federal Reserve report in March found that 21 percent of cellphone owners used mobile banking services in the previous year, and another 11 percent plan to do so in the next 12 months, Pew said. Among those users, 12 percent said they’ve used their phone to access their bank account to pay bills or transfer money to another person’s account. 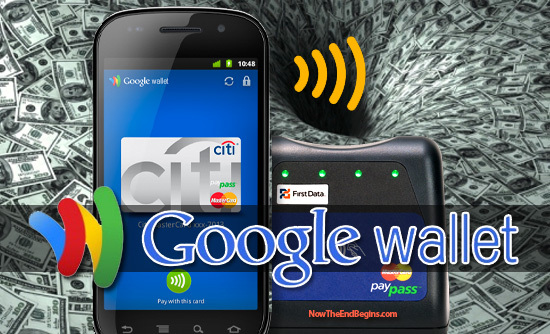 Wireless carriers Verizon, AT&T and T-Mobile have joined with credit card companies American Express, MasterCard and Discover, to develop a similar NFC program called “ISIS” that will be tested in pilot cities around the country mid-year. Google chief economist Hal Varian told Pew that while the year 2020 might be “a bit optimistic” for majority adoption of pay-via-phone, he’s sure it will happen.